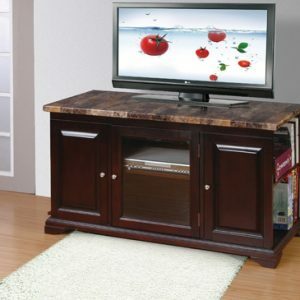 This Saw Cut Espresso TV stand will add a warm, country flair to your living space, while accommodating most flat screen TVs up to 80″ and up to 155 lbs. 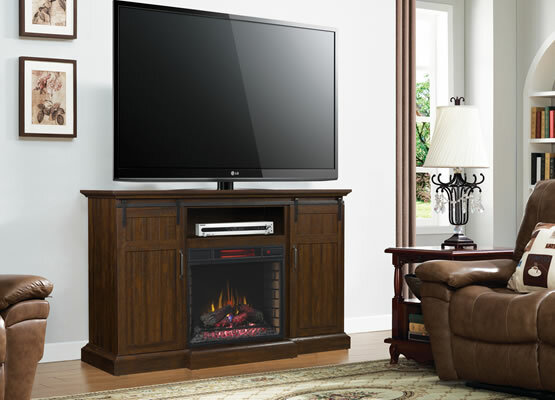 The sliding barn doors open to reveal a 28” electric fireplace (sold separately). 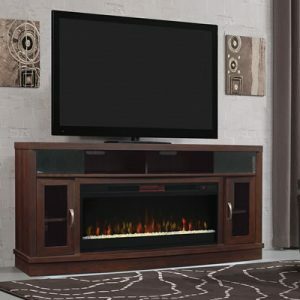 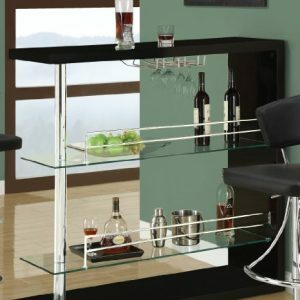 This TV stand includes an open media shelf above the electric fireplace opening and a side cabinet with two adjustable shelves on either side. 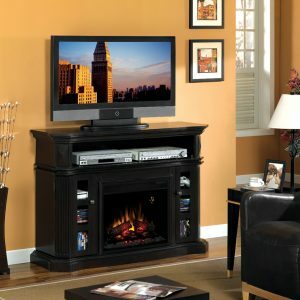 Pewter hardware, top accent molding and kick out hearth detailing add to this TV stand’s charming rustic design.